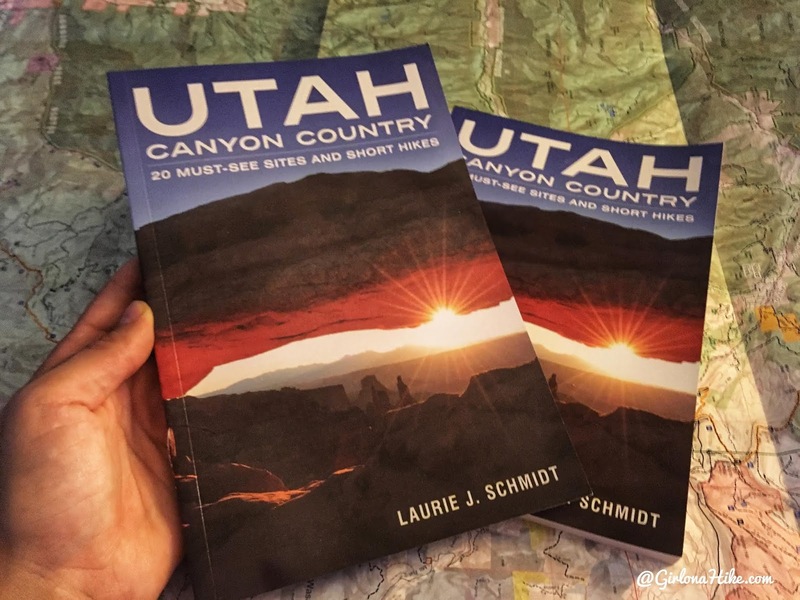 Utah Canyon Country: 20 Must-See Sites and Short Hikes is Laurie J. Schmidt's newest book release - I was so excited to get my hands on a copy! Packed with local tales and history, I was curious as to which hikes I had not yet completed. As most Utahan's know, southern Utah is home to thousands of miles of arches, slot canyon, natural bridges, hoodoos, and more. 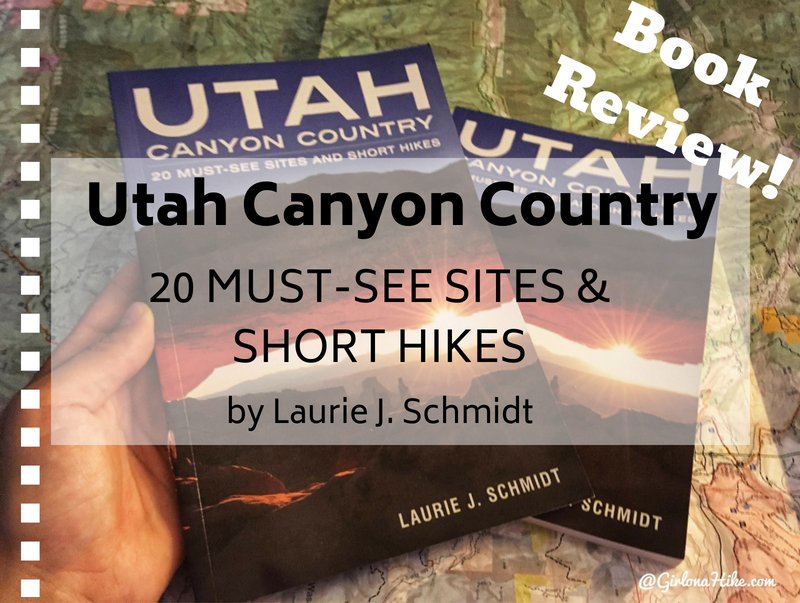 Laurie does a great job of pointing out the best of the best - 20 sites and short hikes you can't miss! 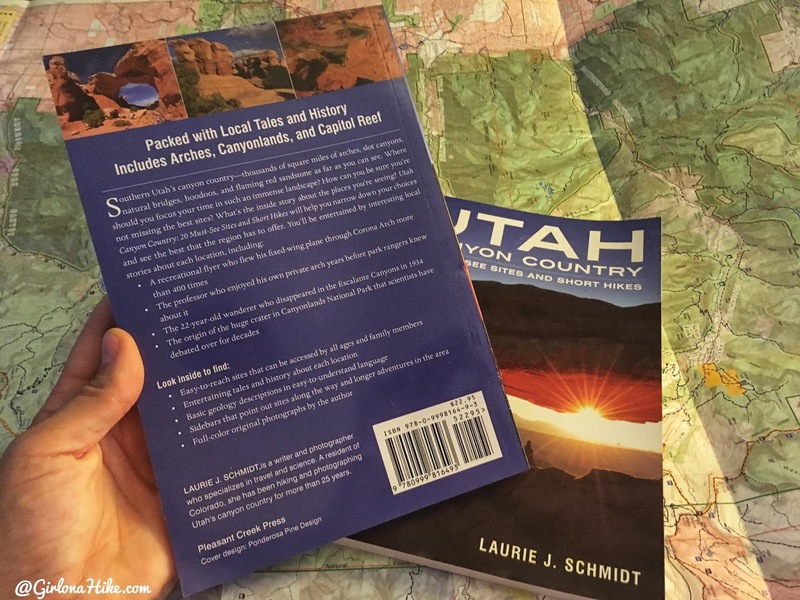 This book is the perfect option for those just looking to visit Utah for a few days, or even those that have lived in Utah for years, but have not yet explored this territory. 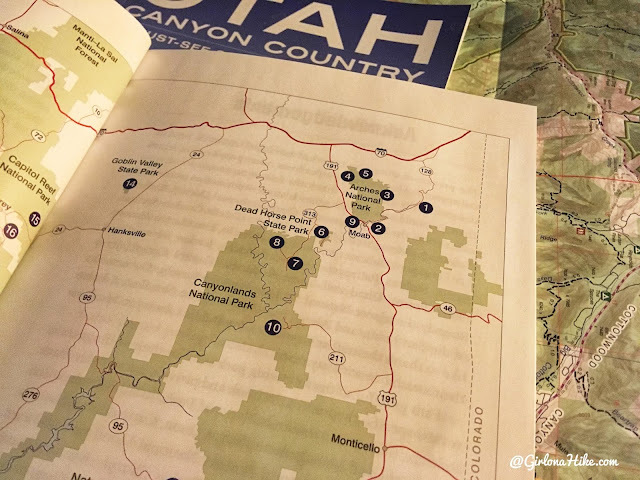 Grab your reading glasses, cup of coffee, and check out everything Utah Canyon Country has to offer! The book itself is a decent size - not too large for carrying around in your backpack, yet light enough to take a long on a backpacking trip. 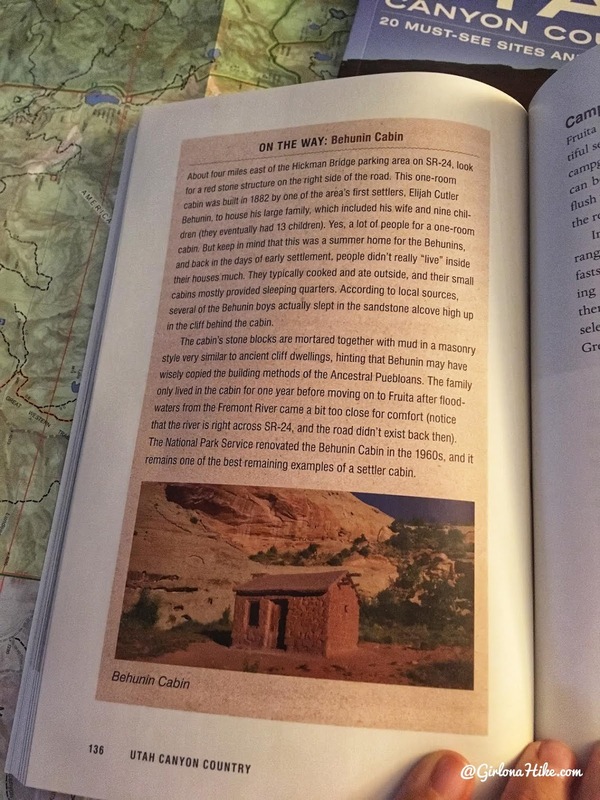 The book includes easy-to-reach sites that can be accessed by all family members, entertaining tales and history near each location, basic geology descriptions, sidebars that point out special sites along the way, and full-color original photographs taken by Laurie. I love how organized each hike description is. They are all a quick read, yet provide all the necessary info you need to safely reach the destination. Distance, elevation gain, difficult, fees, cautions, and the closest local services are all included per site and hike as well. It's makes planning your time here a breeze. 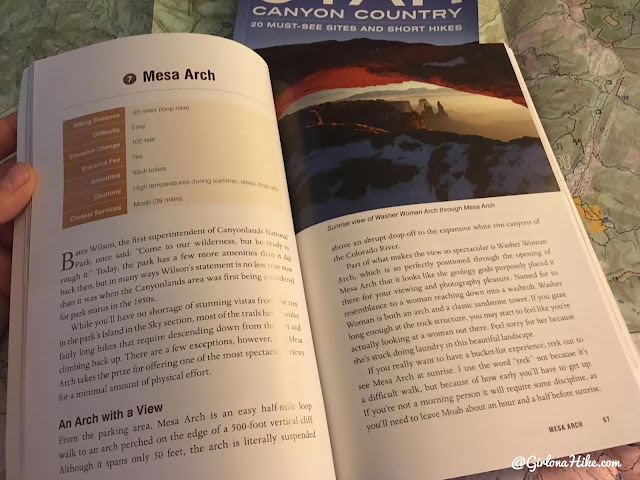 Laurie also offers the best time to see certain locations - for example, it's highly recommended to see Mesa Arch at sunrise! Several "On the Way" locations are pointed out as well. Ever heard of the Behunin Cabin? Neither had I! Adding these special pages were really a plus for me. Often times we drive straight to our destination or trailhead, without ever thinking (or knowing) about these places. Wouldn't it be great to stop at a new place, stretch your legs, and learn some history? Call me a nerd, but I love that stuff! All of Laurie's must-see 20 sites and locations are marked on a map toward the beginning of the book as well. This section only shows the Moab, UT area, but other locations include Canyonlands NP, Capitol Reef NP, and the Escalante, UT area. Not sure of a certain word? Check the glossary in the back. 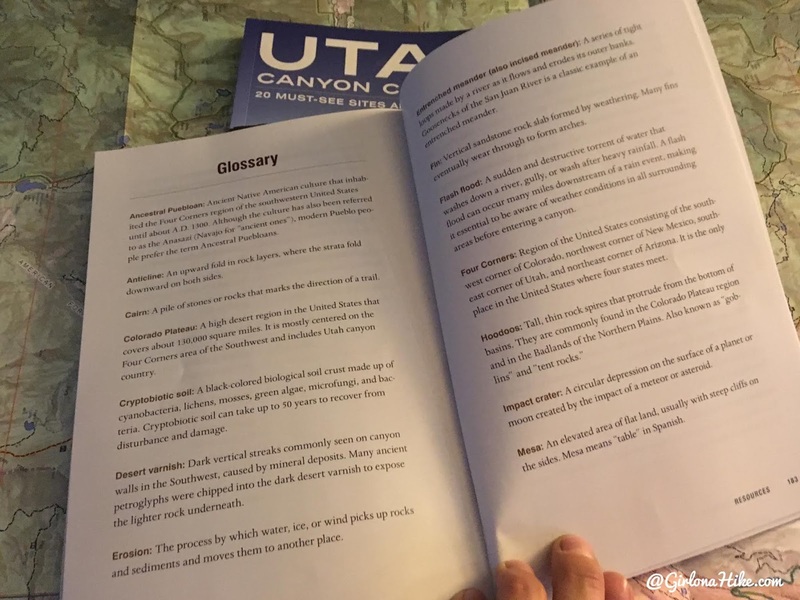 If you are new to Utah, this will be a huge help in understanding Laurie's descriptions. Currently the book is only available to purchase directly from her website, as well as all the Utah National Park Visitor Centers. I'm super excited to add Utah Canyon Country: 20 Must-see Sites and Short Hikes to my library. I think this is a well-written book, with the best sites and trails everyone should visit. Make it a goal to visit all 20! You can now buy this book on Amazon for 15% less than retail! Laurie J. Schmidt is a writer and photographer based in Colorado. She has worked as a NASA science writer and editor, developed web content for the Phoenix Mars Mission, and served as editor of several science magazines and publications. 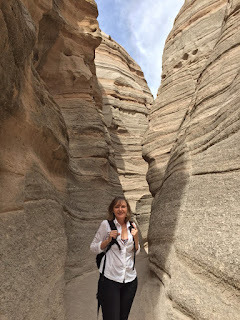 Her science and travel writing has been published in regional and national publications, including PopSci.com, NASA’s Earth Observatory, NASA Global Climate Change, National Parks, and Earth magazine. She holds a master’s degree in journalism, with a focus in science communication. Laurie first discovered Utah canyon country in the early 1990s and has spent 25 years hiking and photographing the geology of the Colorado Plateau region.